Southern Question: Southern Wedding Food? It’s a big wedding year around these parts. 3 of my best friends ( 2 of my co-best men of my wedding) are getting married or have gotten married this past summer. I just returned from the second wedding on the coast of Mississippi and it got me wondering, is there Southern specific wedding food? I’ve been to a lot of weddings, and seen a lot of different dishes but never thought to look for regional cuisine amongst those served. I’m sure there are but what are some of the best Southern wedding dishes one would find here in the South? Finger foods? Full on sit down dinner plates? This is going to be a new series we’re going to start called Southern Questions, to get the dialog started between us and our readers and to meet more of you out there! For other Southern Wedding tips try Southern Weddings, a beautiful magazine with great online content (no we’re not paid they are just doing great things and deserve a plug). Stay Hungry Y’all? A good cucumber tea-sandwich. That’s quite Southern, isn’t it? Just recently I attended a beach-side wedding on St. Simon’s Island (GA). The reception eats consisted of a sweet potato bar and a grits bar – both with various dress-up-your-tater-or-grits sides like onion, bacon, brown sugar, etc. ‘Twas fantastic. Unique, very Southern and above all, tasty. We had shrimp and grits at our wedding on the beach in florida. I love those flavors at wedding, good point. To me, a Southern wedding has an excess of food. We Southerners like to stuff people to the gills with good food. It’s interesting that Southern wedding food isn’t more defined, because most other things about weddings are. Maybe that’s why I have such a hard time nailing it down good point…so it’s rather eclectic ? I’m sure that standard Southern weddin’ fare is regional, right? And it’s probably a totally different affair if you’re having your reception at the church (which, in my experience, is most likely with Southern weddings) versus a rental hall. So I think you’re right in it’s eclectic, and probably regional, and most likely church vs. rental hall, and there may even be racial differences too. But I’ll bet all of them have sweet tea. Again another valid point. Location really plays into it. I love pralines at a southern wedding (which we definitely had). The best and more true to the south southern wedding receptions to me, are the ones that don’t have all the fancy and high end catering. It used to be that family gathered and did all that together – whether it was to be held at a church or a big reception hall, mamas and aunts and cousins and friends all gathered together and made up everything from scratch. Some were made ahead and frozen, some were made in the days before, but there were meatballs, party sandwiches, hot dips, salads, fruit salads, desserts, cookies and candies. Those receptions were where you saw the classic southern party foods featured and unfortunately, except in families who just simply can’t afford (or refuse) to spend thousands on weddings, that tradition of family has nearly faded away. Kind of sad to see that family tradition go. The church hall reception isn’t unique to the south. Back in the day, nearly everyone we knew up north also had a reception at the church. Either the family cooked or finger foods were served. Now that I think of it, those were the days before we had Fellowship Halls. We would say, ‘In the Junior Dept Classroom’ or ‘the Primary Dept Classroom’. Those types of receptions seemed to encourage more visiting among the guests then today’s sit down dinners. Then again, weddings weren’t four day affairs with grooms golf outings and girls jetting off to Vegas, winery tours, etc. I have been to (and in) quite a few deep South weddings and the overwhelming trend was fried chicken (done “fancy”), Shrimp and Grits (with a toppings bar), crab cakes, biscuits, and corn bread muffins. My main, important, insistent requirement for sweet tea? NO LEMON. Southern wedding food is often highly specific. If you’re in the basement of a Southern Baptist Church in the Bible Belt, anything more than nuts, mints, wedding cake, & punch is considered excessive. Episcopalian & Presbyterian couples tend to move elsewhere for their receptions as the church setting is rather inhibiting for all the dancing & drinking involved. The time of day also figures heavily into the menu. An afternoon reception will reflect the (slightly) more casual atmosphere of an afternoon wedding, & you can bet there will be ham at the carving station, pimento cheese in some form, and woe betide the bride whose caterer does not have deviled eggs, even if they have to be quails’ eggs to make sure they’re not too filling. Most evening receptions can compete with Vegas buffets, down to the raw bars, shooters, beef tenderloin, and smoked salmon. Bourbon, Jack Daniels, and juleps, depending on where you are in Tennessee or Kentucky, must also feature prominently as libations, as long as there is enough sweet tea for the Baptists, who may, albeit in complete ignorance, spike their drinks with a little something extra to help them sleep after all the excitement. We incorporated a sausage plate into our wedding reception as a nod to Memphis, Cary’s home town. All of my friends are getting hitched (and I work in the industry). Grits(often w/shrimp) stations, served fancy in a martini glass are very popular. I’ve see a lot of hashbrown bars…think, scattered, covered and smothered. Deviled eggs, as simple or dressed up as you want them to be. Summertime drinks in mason jar’s…tea, booze, lemonade. Lot’s of engagement parties with BBQ or a hog roast. Recently there was even a Krispy Kreme groomscake! Also, I’ve noticed a lot of families bottling a family sauce/wine/brandy/candy and sending guests home with that as their party favor. And, Southern Weddings is the bomb! Lori, I am planning for my daughter’s upcoming January Tennessee wedding and would LOVE some pre-made menus! My e-mail is calystagerhart@hotmail.com. Any help in this area will be greatly appreciated! Oh, Lori – me too! I’m planning my daughter’s wedding wedding in Tennessee and would love to see some of the menus! Thank you for being so good as to be willing to take the time to do this! Lori, My granddaughter is getting married and wants southern food, casual decor almost shabby chic or country garden mixed. I would love some menu ideas. The wedding will be in a garden and the reception in a old carriage house within the garden area. Lots of old old brick and nostalgia. We have to find a caterer, so really need menu suggestions. I’d love some help too! I’m planning a May wedding in Nashville….my email is redhound17[at]gmail[dot]com. Thanks in advance! My daughter’s friend is having an afternoon wedding (2:00). She does not know what to serve at the reception. Any help would be appreciated. Lori: We have a Sept. outdoor wedding and wish a “southern” flare for the menu since the groom is from Alabama. We have many vegetarians on the guest list. Shrimp and grits was one item the groom requested. Can you suggest a menu around that? They were hoping for a family style and cost is important – we’re looking at about 300 people. Thank you so much. They are meeting with a couple caterers in a couple weeks. Please email if you can some suggestions. If possible, I would love to see some pre-made menus! Daughter marrying in our backyard in late March. 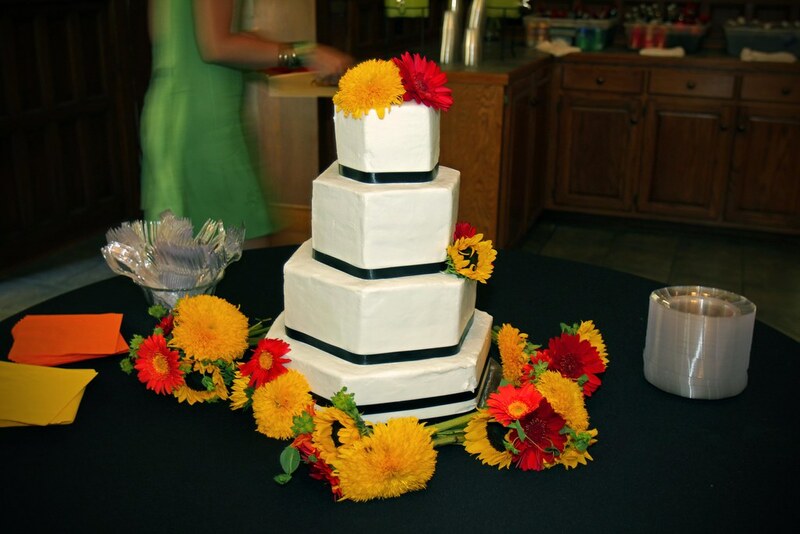 It is a Sunday afternoon wedding (2:00 p.m.) with reception immediately following, so we are not looking for a heavy meal, but wanting something different than just chicken salad sandwiches, fruit trays, veggie trays, etc. My email is mbelmore@windstream.net. Thank you so much! Emily email me using the email address at our website and we will try to help you with your reception, my wife is a wedding planner and interior designer. Please email using the address on our site and we can discuss it. My daughter is getting married at the Gaylord Texan. We are from Louisiana and love cajun food. Any menu ideas for good cajun style wedding food? Do you still have those menus? We need help for a Georgia wedding reception! Thanks! Lori my daughter is having a outside wedding (2 PM) in October in Louisiana. I would love some menu ideas. Thanks! We are having a Savannah wedding in September. I would like to serve casual southern country foods. Would love to have a copy of your menus. Mac&cheese, shrimp & grits, cucumber sandwiches, glazed pecans, prime rib, etc. i love to eat italian foods since they are quite spicy. .. I do alot of wedding & reception decorating I’m in Alabama, I’ve seen everything from southern soul food, barbeque and simply scrumptious southern food, every one is really into cocktail hour my faves are fried chicken liver deviled eggs ( D.E are a must) grilled mini homemade pimento cheese sandwiches, caprese salads but with fried green tomatoes, instead of mashed potatoes ,Sweet potatoes are taking over. Everyone loves shrimp & grits but they are a S.Carolina staple in Alabama Catfish farms rule so we grew up eating fried catfish & grits, caterers are doing catfish or whitening nuggets with cheese grits and instead of Maryland crab cakes they are doing Salmon croquettes, garlic cheese biscuits/jalapeno cheese cornbread(not Jiffy) instead of rolls, all type of game meats (venison, Rabbit) I have even seen a red velvet waffle & fried chicken menu. Arnold Palmers are really big too alot of brides use pink lemonade & Sweet tea instead of regular lemonade. Whew let me shut up lol oh p.s Southern Living is a really good guide on southern food & menus !! This may be a shock to you true Southerners, but before moving to Georgia I’d never seen deviled eggs or macaroni and cheese served as even the most casual wedding fare! It stills amuses me that, what Northerners consider cheap, fillers are served at weddings. Please understand I’m not being critical, just pointing out a difference in cultures. We were served room temperature low-quality chicken nuggets, nuts and sweet tea at the first Southern wedding I went to. Now that menu deserved criticism. I would LOVE some menu ideas. We are getting married in Louisiana in June. We have discussed shrimp and grits, a mac and cheese bar, and a mashed potato bar, but need to fill in the holes – preferably with another meat/main entree. My email address is crowellc@nsula.edu. You need a sandwich of some kind, and the possibilities are unlimited. Sticking to southern, you could have bbq on petite rolls or slider buns, country ham on small biscuits, beef and/or pork tenderloin, and what could be more Louisiana than small muffalettas? I’m getting married in September and doing a southern menu and I would love some of menu.